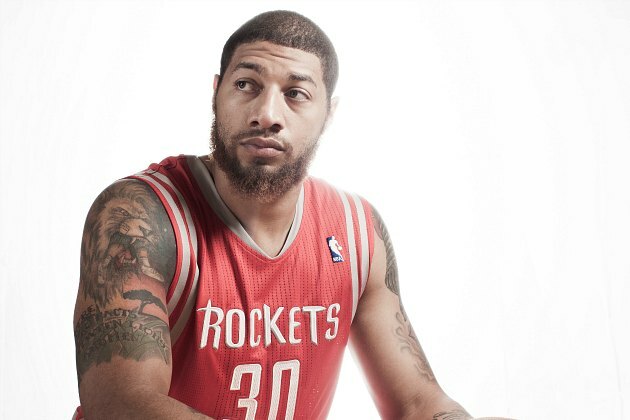 Anxiety is a fact of Houston Rockets rookie Royce White's life, and he makes no excuses for it. When teams and media figures interviewed White in the run-up to June's NBA draft, he was very open about his condition, telling them (including this site) all about his struggles and even taking one inside his experience on the night of the draft itself. He's not shy about it, because being forthcoming helps other people understand him. At the same time, that openness doesn't make it any easier for him to deal with his problems, whether it involves his fear of flying or the basic pressures of a random day. He told FOX 26 Sports the personal matters are related to the fact that he suffers from anxiety issues. "We are trying to figure out a plan for me to be healthy and successful long-term," White said. "It's not really anything that's going on right now. It's more of trying to take a pro-active approach and trying to put together a solid plan. "It is definitely linked with my anxiety sure, but it's not so much as far as my anxiety now. Basically what happened was my doctor, we discussed it, and it was decided the way the plan was now just wasn't logistically healthy. "So what can we do strategically to try and improve the chances of everybody being successful in this situation, my success and the Rockets success? If I fail then that's not good for them either, because it's an investment." We are committed to Royce's long term success and we will continue to support him now and going forward. That short sentence might not seem like much, but it's an impressive show of support for a medical issue that often goes misunderstood. For instance, when White's absence was first announced, Darnell Mayberry of The Oklahoman noted that this was why White wasn't a member of the Thunder, and why the prospect of the franchise trading up to draft him always struck him as "comical." (Never mind that, choosing at No. 28, the Thunder didn't have much incentive to trade up 12 spots for someone who'd almost certainly be a role player.) Mayberry discussed concerns regarding White's character and also referred to him as "the definition of a head case." He also failed to mention White's anxiety issues at all, suggesting (by omission) that White missed camp just because he didn't feel like it, not because he's dealing with a legitimate personal issue. However, the maturity and professional seriousness we associate with NBA success has very little to do with anxiety. For most of my life, I've dealt with occasionally crippling anxiety episodes that manifest themselves both physically and mentally. While I don't suffer from quickly manifesting panic attacks, as White does, my experience has always been that anxiety can get out of control with little warning — that a small feeling of uneasiness can compound itself and eventually turn into a debilitating situation filled with nausea, a lack of self-confidence, and the general sense that focusing on fixing anxiety only makes things worse. Royce White has an issue with anxiety that is more common than people talk about and he has done a good job to bring awareness. It did not affect his ability to fly for games last year and we don't expect it to this year. It certainly did not affect him last year where he was unquestionably one of the top players in the country and the best player on the floor in the Kentucky-Iowa State NCAA tournament game. Morey expresses confidence that White can attend road games this season — the question specifically asked this — but he also acknowledges the anxiety as a present-tense fact, not a problem that's behind White simply because he was able to fly at Iowa State. This is exactly the right way to think of anxiety: It's not cured, but it can be mitigated and managed to the point where it becomes an acceptable part of life rather than an overbearing danger. It's not good news that White is out of Rockets camp, but it's also not a sign that things will never get better, or that the Rockets made a terrible decision in drafting White in the middle of the first round. Overcoming anxiety, for massively talented basketball players or random dudes who blog from their parents' basements, is a process. And while there's no certainty that White will get past these issues as a member of the Rockets, or even as a professional basketball player, what's important right now is that he attempts to manage that personal development in a way that's comfortable for him and the Rockets. (Spanish soccer star Jesus Navas is one athlete who managed to work his way through similar issues.) If White attempts to push through the issues with little-to-no sensitivity, then things are likely to get worse. If everyone involved — including fans and media members — affords that patience, then White is likely to see slow, yet meaningful, improvement.